There’s been a dominant theme in emails to the Grasshopper in the last week. 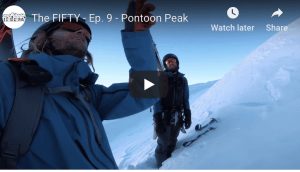 Those who booked September holidays are listening to Mountainwatch reports, watching the Mountainwatch snowcams, and starting to worry about the declining snowpack. The winter was looking so promising. 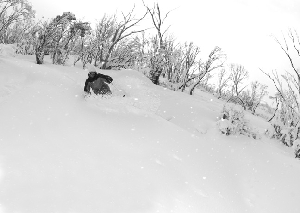 We got our first big storm in late June, and then in early July a benign looking low pressure system turned into an absolute winner, dumping around a metre over several days. The best start to the season since 1990, they were saying. But the weather giveth, and the weather taketh away. The end of July and start of August saw an unusually warm period and several promising cold fronts fizzled away to nothing. So here we are, in late August, sitting on less snow than we had early July (Figure 1, courtesy of Snowy Hydro). With the weather looking fine until the end of August, people have been asking when the next big dump of snow going to come along, if at all, and I’ve been trying to think of a dozen polite ways to say that even the Grasshopper doesn’t have a clue what’s going to happen much more than a week in advance. But then I thought: I can do better than that. We might not be able to forecast what will happen in September just yet, but we can definitely check back on previous seasons to get an idea of the chance of snow at this time of year. So here we go. Who knows what we will find. First stop is some climate data from the Bureau. A quick check of 70 years’ worth of data from Charlottes Pass, elevation 1755m, reveals that September is the third wettest month for the Snowy Mountains, averaging 192 millimetres, only just behind the top months, October, with 216mm and August with 207mm. The average number of days with more than 1 mm of rain is 5.2, more than 10 mm is 2.7 and more than 25 mm is 1.3. 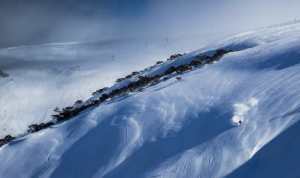 Thredbo village has recorded similar numbers since 1969. That tells me that in the Snowy Mountains in September on average we can expect two days with precipitation over 10mm, and one really big rain/snow event with over 60mm. (Maybe 30mm rain and 30cm snow). Over at Falls Creek, rainfall is a little less, averaging 127mm in September, but that’s equal second behind June (although I’m a bit suspicious that the drop in July and August is due to the weather station not measuring snowfall very well). They can also expect at least one decent day of rain/snow. 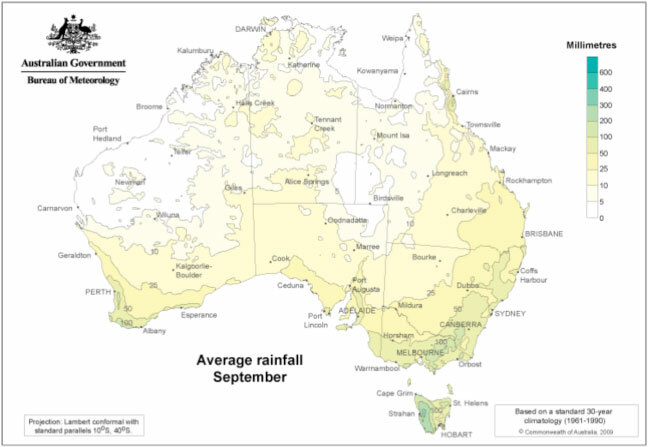 Another way to skin this cat is to look at the average rainfall map from the Bureau. You can see in Figure 2 that the Australian Alps get up over 100 mm averaged across a wide area, and you can expect the peaks the get more than this. So we know we’ll probably get the necessary moisture in September. But the million dollar question is: how much of that precipitation will falls as rain, and how much as snow? First stop for this question is some temperature records. Charlottes Pass, at 1755m elevation, averages a Tmax of 4.9 degrees in September, but 10 per cent of days only reach 0.7 degrees. 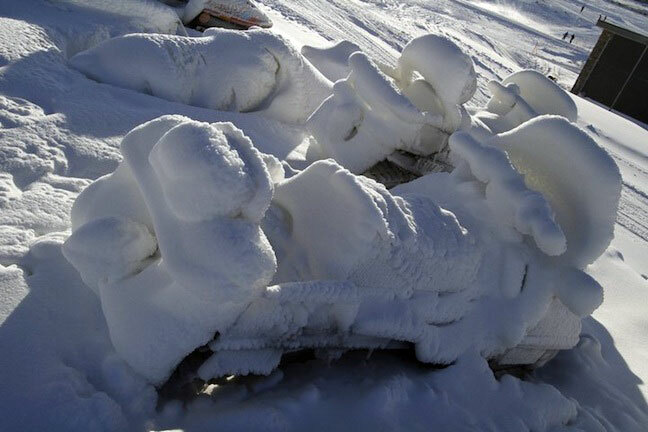 It also averages a Tmin of -3.3 degrees, with 20 per cent of overnight minimums falling below zero. So it looks as though, on average, we definitely get cold enough temperatures for snow in September. Another way to look at this is to check wind records for Charlottes Pass. 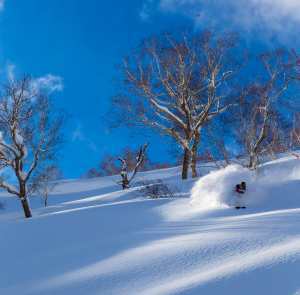 The data reveals that in August about 40 per cent of afternoon winds come from the west, south-west or south, the directions most helpful for snow. But during September this percentage increases slightly to 47%. Climate maps also reveal that atmospheric pressures are actually lower over the resorts during September than they are in winter. Taken together, this suggests that cold fronts and lows from the south are better able to travel north to pass over the resorts in early spring. After all of the cold fronts we’ve seen destroy themselves against high pressure systems this winter, this is a comforting thought. So we’ve got enough precipitation, and cool enough temperatures, as cold fronts come further north in spring. But clearly we need these two, rain and cold, to coincide for us to get snow. Do they? 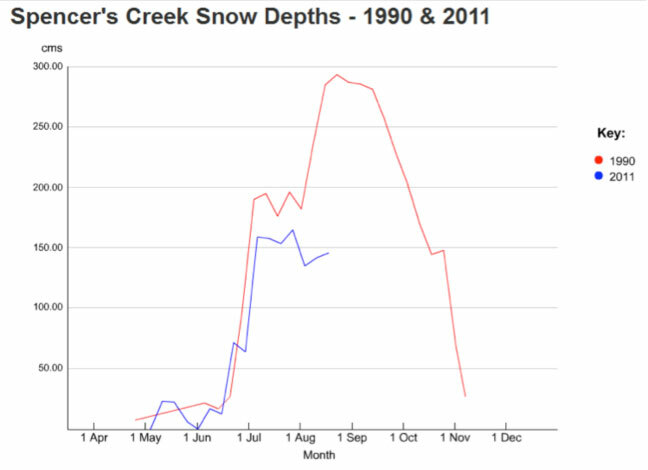 Well the Spencers Creek snow depth charts from Snowy Hydro seem to suggest they do. 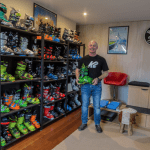 By eye-balling the graphs from the last 57 years, it’s easy to see that September frequently records snowfall that sees the depth at Spencers Creek rise 10 centimetres or more. Unfortunately, there are also a lot of periods where the snow depth decreases rapidly. But over those 57 years, in the first half of September, the snow depth rises about one third of the time, falls about half the time, and stays roughly the same the rest. But get this! There are six previous years I have identified similar to this year, when we had just come through a La Nina, and climate conditions remained neutral with a slight La Nina flavour through spring. In five of these years there was a significant boost to snowfall during the first half of September, and in one year there was a fall. Something to think about that. 1. We will get a strong, active cold front move through in the first half of September, bringing more than 20mm of rain, followed by 10 to 20cm of snow, possibly more. Confidence about 75 per cent. 2. We’ll have more snow at Spencers Creek on September 15 than we do on September 1. Confidence about 60 per cent. 3. 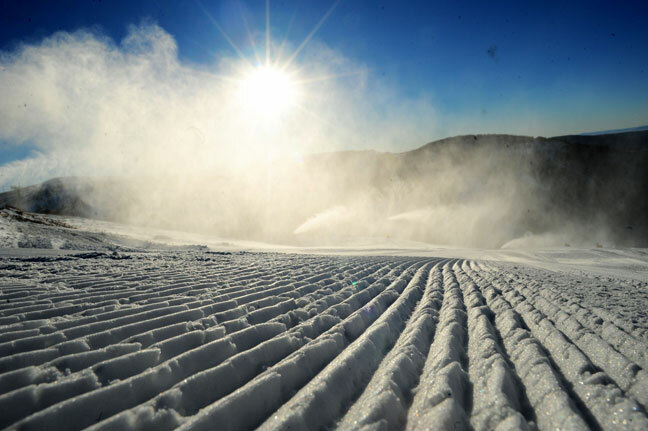 The major resorts will still be going strong come closing weekend on October 3, with Spencers Creek snow depth still over 80cm. Confidence 90 per cent. Remember that I’m playing the averages here. A 75 per cent confidence of being right is also a 25 per cent chance of being wrong. About the same as flipping two heads in a row. But there you have my call on the first two weeks of September. Think I’m wrong? Let me know your prediction by emailing grasshoppermw@gmail.com by August 26 and we’ll make a game of it by publishing all the different opinions if there’s enough response.